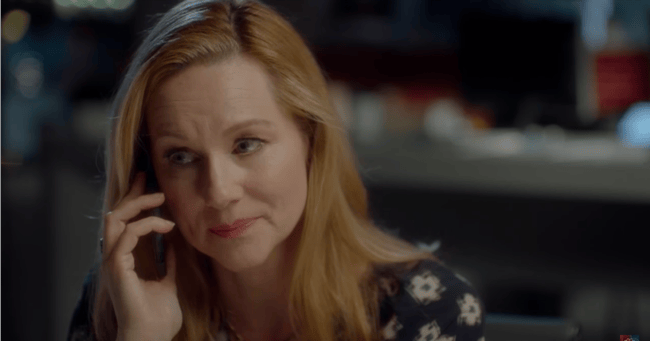 Laura Linney Love Actually reunion: we finally know the fate of Sarah. We finally know the fate of Laura Linney's character in Love Actually. When Laura Linney’s character Sarah first graced our Love Actually screens, she was the bumbling and shy do-gooder, wholly committed to her brother – ‘darling’, she often called him – who was battling an unspecified mental illness. She was also hopelessly in love with a co-worker called Karl. And when the credits rolled and the film had finished, Linney didn’t get the happy ending so many others were afforded. After a night with Karl, she gave up the chance of pursuing a relationship, instead overwhelmed with the responsibility of caring for her brother. But after 14 years, we finally know Sarah’s fate. When the Love Actually reunion special was broadcast in the England in March, Laura Linney’s character was surprisingly absent from the storylines. 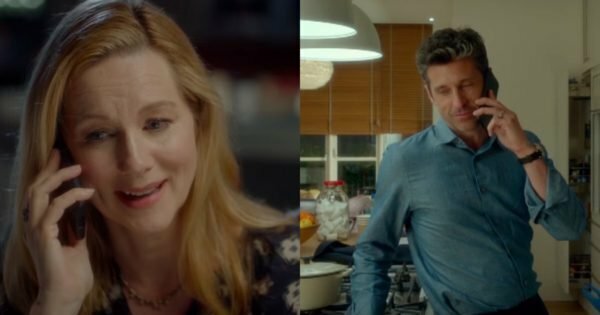 However, when NBC streamed the US version of the reunion at the weekend, fans and audiences alike were elated to find Linney’s character was finally afforded the happy ending she sought. The scene begins with Sarah working late – as she had the habit of doing in the original. Before long, her phone is ringing (with a ringtone that has suspiciously not changed in 14 years despite her purchase of an iPhone, but we’ll be kind enough to let it slide) and audiences are compelled to assume it is – once again – her brother. “Hello, darling,” she answers, furthering this thought process. But actually, it’s not her brother. It’s goddamn McDreamy and I kid you not. Sarah married McDreamy and by the looks of things - lots of talk about toys on the floor = kids! - they had some children together. Sarah seems happy, smiles at her phone as she hangs up and appears to be in a relatively good place. It&apos;s just that, well, where&apos;s her brother at?